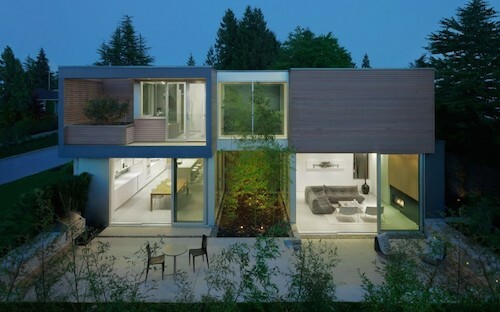 A central greenery defines the Findlay Residence by Splyce Design. 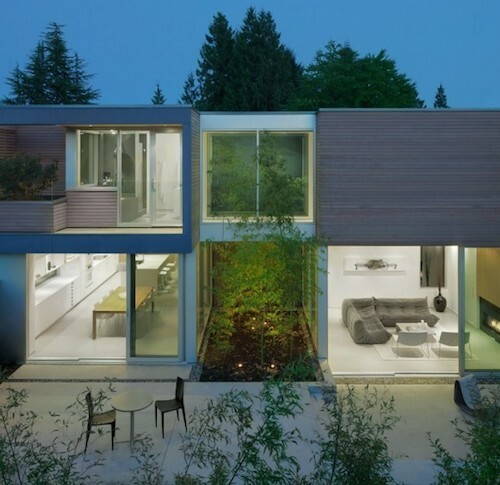 Located in North Vancouver, Canada, the house is surrounded by the quiet of pine trees – and unremarkable suburban houses. 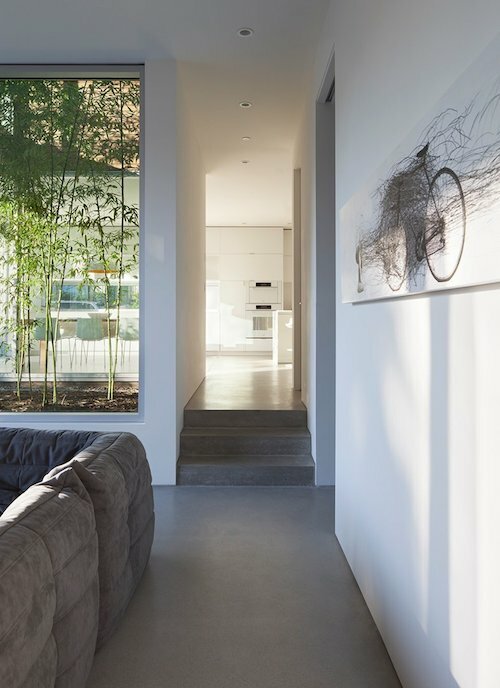 In the suburbs, it can be difficult to connect to nature rather than the neighbours, but this is achieved here. A sunken patio creates intimacy in a flat lawn. 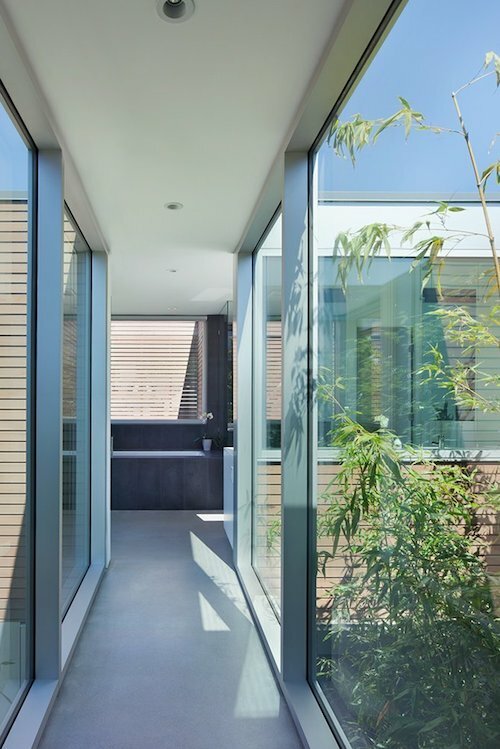 The green central courtyard brings nature to the heart of the home. Mirrors are suspended in front of the view of the central bamboo grove. 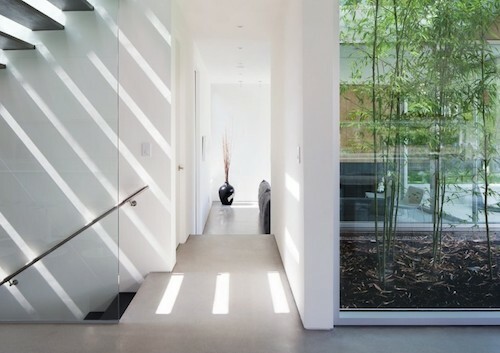 It filters light through all the surrounding spaces. 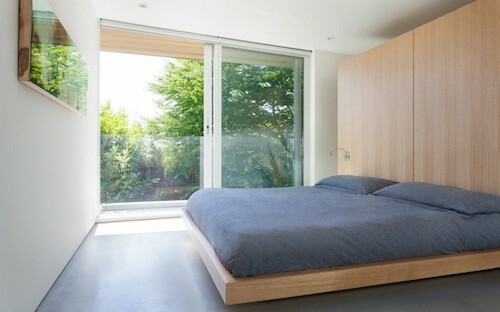 Even upstairs, the most spartan of bedrooms overlooks the tops of the green center. 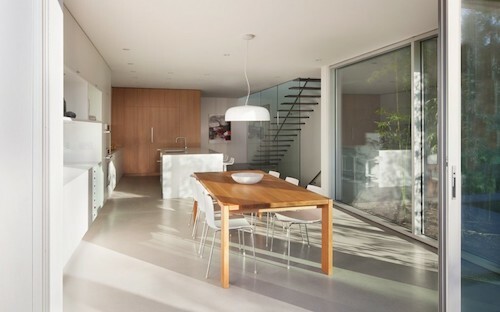 Glass by open stairs allows light to flood deep into the home. A computer study is less light-filled – by design. 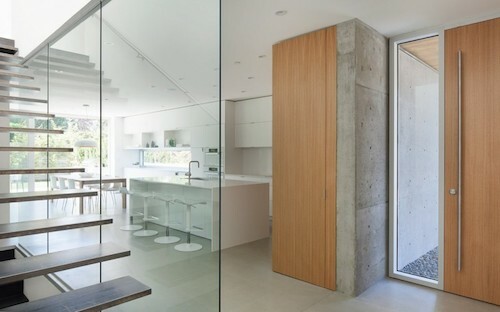 The simple palette of concrete floors and white walls strengthen the clarity and purity of the interiors. 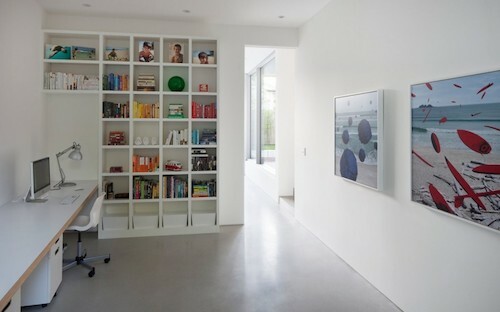 The architect has achieved privacy even within fully glazed walls in the suburbs. This entry was posted on Friday, October 12th, 2018 by Susan Kraemer and is filed under Architecture. You can follow any responses to this entry through the RSS 2.0 feed. You can leave a comment.